The people of Charles F. Kuntz, CPA have evolved over time into a successful and triumphant team capable of meeting the needs of any small business. Maria is our staff accountant in the Shamrock office. After her graduation from WTAMU, Canyon, TX in 1997 with Bachelor of Arts in Accounting. She joined Charles Kuntz, CPA. She is an award winner from Texas department of Humans Services. She is fluent in reading and speaking Spanish. Her Hobbies : tennis, reading thrillers, helping others. 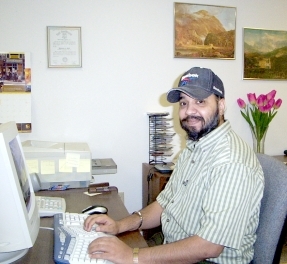 Jatinder is our staff accountant in the Wheeler office. He graduated in 1989 with a Bachelor of Arts in Accounting and has more than 14 years of experience in Accounting and Business Management. He maintains accounts and provides financial analysis. His Hobbies : Singing, Music and Computers. Parmeet holds a Bachelors of science degree and a diploma in business managements and computer course. She has experience in C++, Java, Foxpro etc. She is also a experienced web designer (portfolio) and web master for this site. Her Hobbies : Computers, Music and Web Designing. 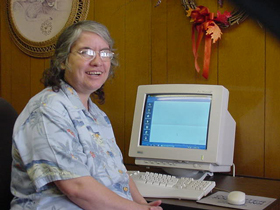 Sheila is our receptionist and payroll clerk. 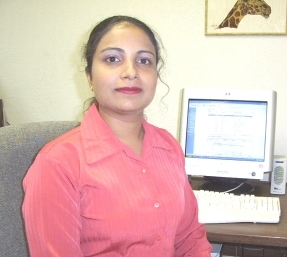 She attended West Texas State University for 3 years. 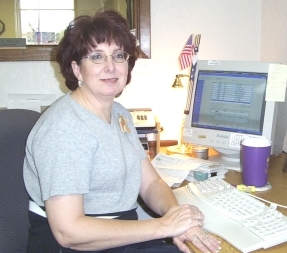 She then worked as a recptionist at KRMN Radio station when it was located in Wheeler and for the next two years she worked for Wreight funeral home also located in Wheeler. For the past 9 months she has been employeed by Drs. Simmons & Simmons optomist in Pampa. She is excited to be working back in Wheeler among all her friends. Her Hobbis: Crafts, Reading & Playing with her grand babies.